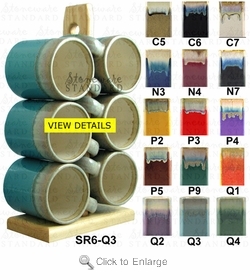 This set of six Padilla stoneware Soup Rack mug is just one more example of his unique drip-looking designs with a very unusual look. This particular Padilla design now comes in 15 different colors. His designs truly are beautiful enough for any kitchen decor. 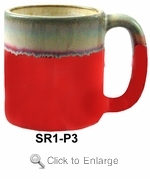 This Padilla Stoneware Mug would make a great gift.